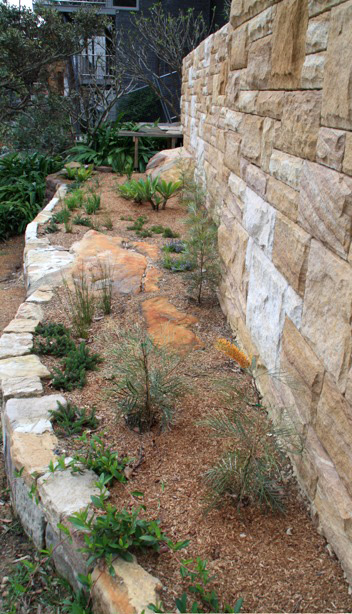 There are two facets to the Lilly Pilly business, landscaping design and bush regeneration. These two strands are in fact complementary. Our landscaping is often native inspired. 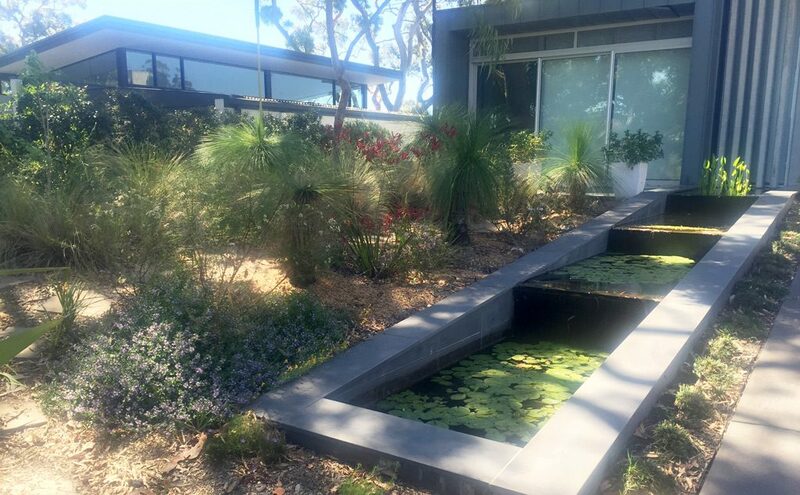 We like to think of gardens as an extension of bushland. 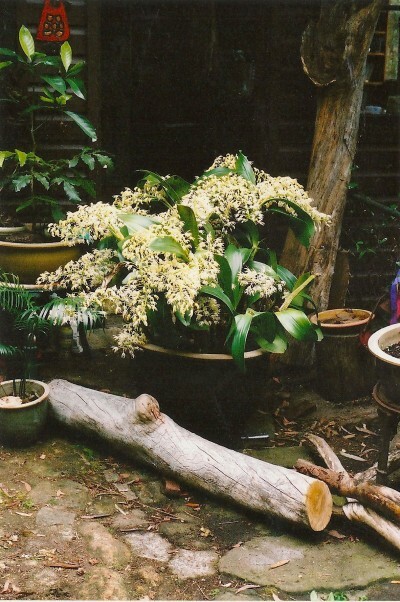 We grow many of the plants we use in landscaping. Where possible we collect from local seed. Often, we find our private clients want the bush in their gardens and similarly our Local Council clients are looking to have a design aesthetic in semi-natural areas. It is an ecological underpinning. It is about ensuring that our footprint, like the footprint of the Eastern Water dragon is a good one. You can learn more about what drives us by looking at our landscaping and bush regeneration pages. You can also find some information about plants, ecology or our Lilly Pilly clients. And of course you can talk to us anytime; our contact details are located on the contact pages. Looking for a part-time Bush Regenerator position? 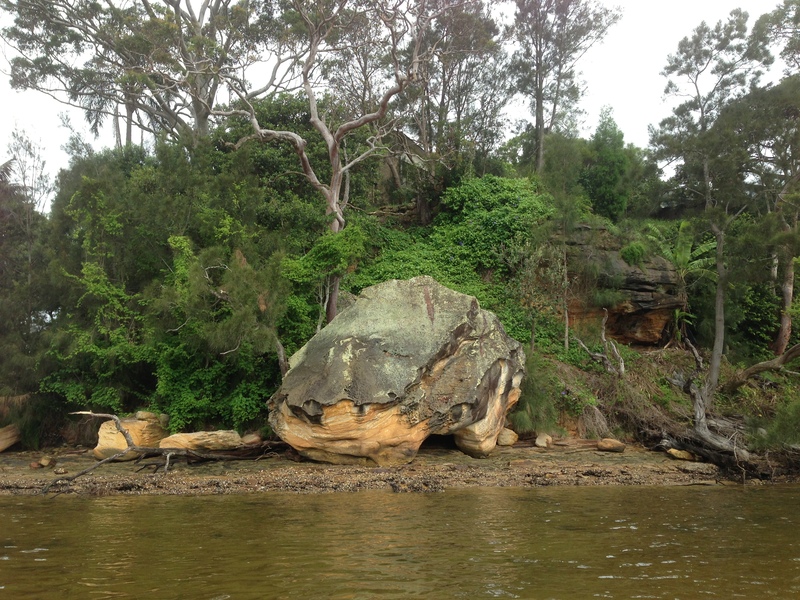 Having access to our own barge means that bushland verges, estuaries and harbourside gardens can be maintained by our crews.